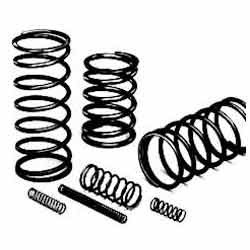 Manufacturer of a wide range of products which include automobile industry steel spring. Offered in the business sector at the most sensible rate conceivable, the scope of Automobile Industry Steel Spring gave by us, is generally acclaimed and requested. Assembling of this reach is started using the finest crude materials and progressed apparatus, to keep up the item's solidness, dimensional exactness, toughness and imperviousness to consumption. Looking for Steel Spring for Automobile Industry ?